Naturescape Design was organized in 1983. 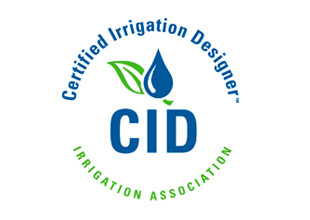 Shortly after the purchase of what was then a landscape company the decision was made to specialize in irrigation. The company first focused on residential installations. 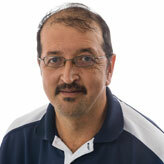 In 1990 the service department was created to meet the needs of a growing customer base. From two people and a single truck the department has grown to a staff of ten technicians, two coordinators, and three supervisory managers. 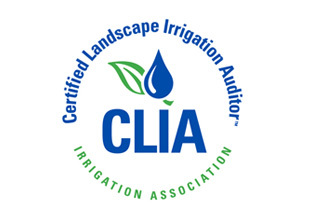 Two of our supervisory managers are Certified Irrigation Auditors. Our customer base includes approximately 1,400 active customers that vary from individual homeowners, large homeowner associations, and commercial buildings. 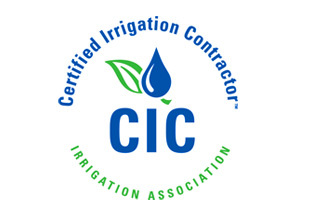 Our irrigation services include activations, inspections, RPZ certifications, and winterizations. 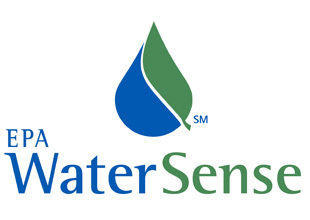 We also have auditing services to make recommendations of water savings and overall system improvements. 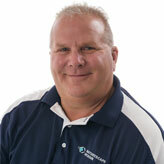 Naturescape prides itself on proactive communication, follow up, and timely service calls. 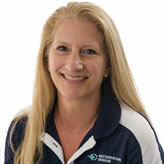 As the leader of the Service department, Jean’s focus is on engaging and communicating with our customers and service partners to ensure that system renovations, repairs and upgrades meet the high quality standards that Naturescape is known to provide. Junior offers expertise and advice to our service technicians on location. He makes sure that all their route questions are addressed before they depart for their jobs and sees to it that each of them have the equipment, tools and supplies to excel at their work throughout the day. On an ongoing basis, Pat is supervising field work at some of our commercial and larger residential sites while forging relationships with developers and property owners. Should facility and development managers have any service support questions, Pat is easily accessible to address their needs. Call Us at (847) 639-6900 or contact us online. Most Naturescape technicians have been working for the company for at least ten seasons. On a daily basis they encounter issues and challenges that crews with less experience would have no way of knowing how to repair or resolve. Our techs periodically meet to discuss new technologies, system problems they have discovered and how they have solved them. 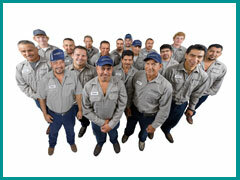 Over the years, our technicians have returned and served many of their same customers. Our technicians get to know them and their expectations, as well as becoming familiar with their specific irrigation system. Our team takes pride in their work – to them, working for Naturescape and our customers isn’t just a job, it’s a career. They understand that when they service a system, their craftsmanship is a testimony to our company’s commitment to quality and reliability. Royal Ridge Homeowners Association consists of 151 Luxury home sites in Northbrook, IL. The property sits on 50 acres of beautifully landscaped green spaces which also includes ponds and canals. All turf areas are irrigated as well as front entry flower plantings. The irrigation system consists of 60 watering zones controlled by two irrigation controllers. The water for the irrigation system is supplied by using a 20 horse power pump station that draws water from one of the ponds with a dedicated well to replenish this pond as needed. The watering schedule that was in place was not appropriate for irrigating the heavy clay soils on the property as we observed excessive runoff and a large area of swampy soils. Our initial site visit also revealed very large watering zones each of which spanned a variety of “microclimates” with different watering requirements. The watering demand on one zone may have included both extremely sunny portions along with areas of dense shade making it impossible to balance the water coverage. We used a two-step process to address the system. First, we changed sprinkler nozzles in areas of mismatched microclimates. This greatly reduced the amount of water that was being applied to the densely shaded areas while not starving the sunny areas. Next we revamped the watering schedule. Using a cycle and soak technique, a clock schedule was developed that would deliver an equivalent of 1.25” of rainfall per week. Due to the size of the system this was accomplished by cycling each watering zone only twice a week but activating each zone three times during the night to avoid runoff and provide maximum benefit to the plant. This technique uses much shorter run times to keep the water where it is intended and needed. Allowing the soils time to dry out between watering days also promotes healthy root growth. By implementing the new watering schedule and the turf management program delivered by Mariani Landscape, the results are visually obvious in the overall health of the turf. When drier conditions present themselves very little adjustment is needed because the turf is much healthier than irrigated lawns that are overwatered.